When people complained about corruption in the way contracts were given to book publishers, government vehemently denied these allegations. But editor kindly analyse the pics I have attatched below if really such a book is worth being in our schools. 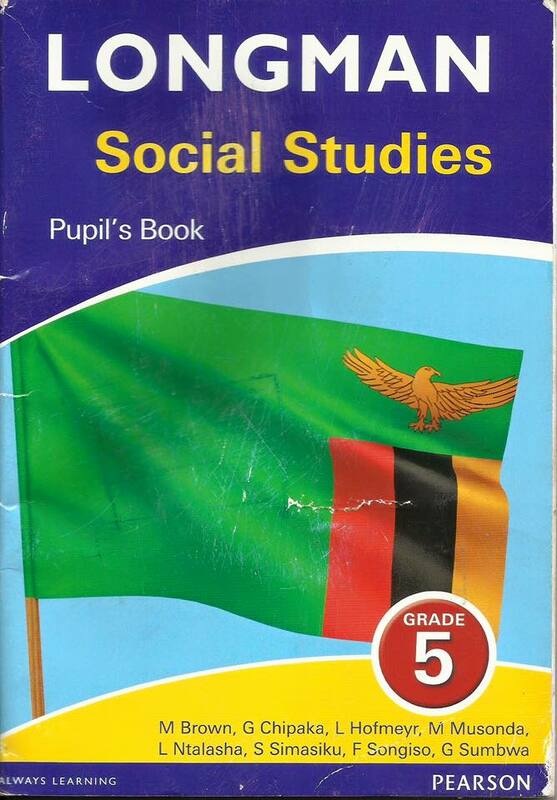 Look at the gramatical errors on the G5 social studies page, published by Longman, and the wrong information being given to pupils. What does the ‘rich finds of copper’ mean? Where is the capital of Kitwe district? What is supposed to be ‘Nchanga mine’ is written as ‘Nchonga’. The sentence concerning economic activities is ambigous and misleading. 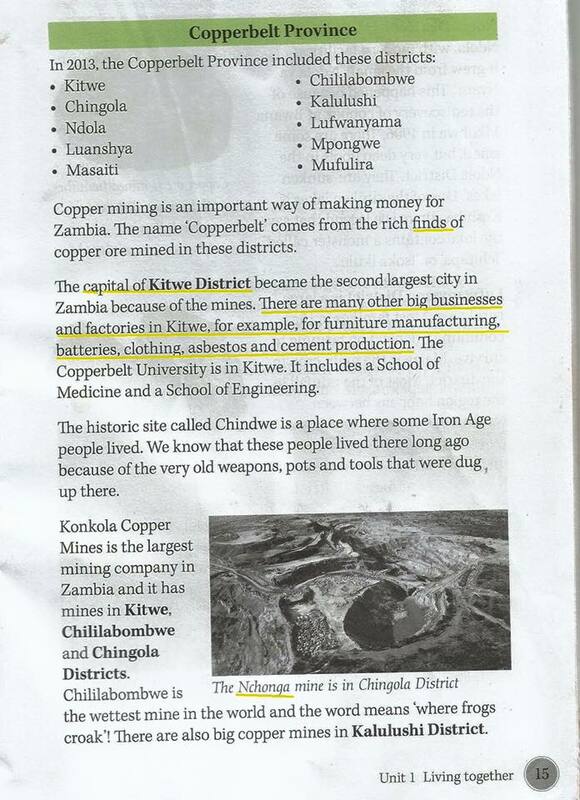 It would make a small child believe that kitwe has factories that make batteries and produce cement which is completely false. Who are the people who approved such a book? And my general observation is that most new books for the new curriculum have been poorly written. Another example is the G8 computer studies book. It is full of history and little real content. It is too big for nothing! All these are signs of corruption. I think there will be need to rewrite most of these books if we want proper learning to take place in our schools.